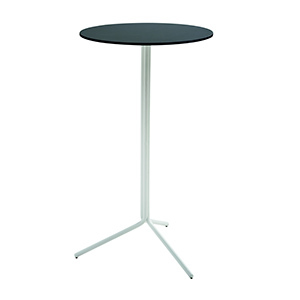 Meridian series table. Steel base with painted finish. Top in melamine or HPL.